A busy week with projects being completed and a new business model being developed, the Finishing Touch will soon be announcing exciting changes to the business structure and products available to further enhance buildings. A post-modern sixty squares home at 3 Vidos Street, Greenvale now sports a stunning entrance with the addition of decorative mouldings including a keystone over the entrance on the first floor and a curved parapet moulding, measuring 240mm x 227mm (model # P4240), that follows a curved wall over the entrance. 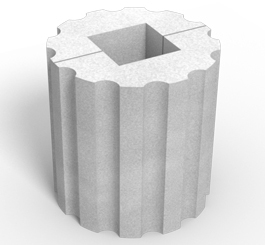 Below is a parapet moulding ( model #P4240) which is a straight moulding. Further decoration is provided with the addition of quoinings on the left and right sides of the building, both upstairs and downstairs on top of each other with a 30mm rebate. Fifteen windows are beautifully finished with one hundred and ten metres of window architraves, measuring 90mm x 45mm (model # W1090) and twenty four metres of window sills measuring 135mm x 90mm (model # WS5R2). Seventy metres each of parapet eave mouldings, dimensions 150mm x 150mm (model # PE4TRI) and undergutter moulding, dimensions 70mm x70mm (model # PE70) provide a handsome finish. A large, established home on a corner block in Toorak was provided with twenty one Edwardian style pier caps to complete the upgrade and renovations of the home that was purchased in 2013. Work continues on a post-modern home with French Provincial influences at 94 Forest Street, Essendon, with the installation of one hundred and thirty metres of wall capping and nine pier caps. As mentioned in previous blogs, the Finishing Touch are sometimes requested to supply decorative mouldings for film and television sets. A recent request has come from the ABC for the very popular detective series, Miss Fisher’s Murder Mysteries, series three. This design rich television series features wondrous costumes and sets depicting the 1920’s period in Melbourne. An unusual occupation for a woman in that era, Miss Phryne Fisher is a Private Detective who is expert at solving murder crimes. The lightweight mouldings are ideal for use in set productions due to their lightness, ease of application and authentic appearance. The mouldings for the interiors of the Police Station, Miss Fisher’s house and the city morgue are based on stock mouldings in the Finishing Touch range with changes to the height and length to fit the size of the set. 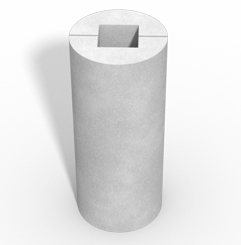 The mouldings are supplied as H grade polystyrene in a raw state. An old Reception Centre in Maidstone, Melbourne, is undergoing a major restoration. The state of the building at present is very run down and needs refurbishing. The building has existing parapet corbels, which were made in the original masonry style using cement. The Finishing Touch will be manufacturing and installing thirty six metres of parapet corbels as lightweight mouldings to replace the existing ones. This will refresh the building and the new parapet corbels will not crack, shrink or warp, maintaining an as-new look for many years to come. 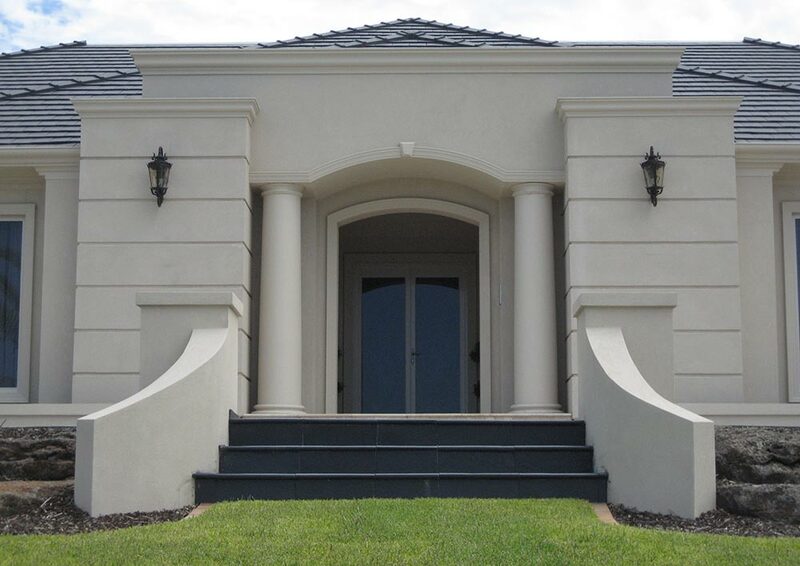 More parapet corbels have been requested for a property in Waterloo, Sydney. 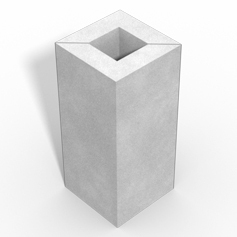 This project is under development and will require forty metres of P10 parapet corbel house mouldings. The uses to which the Finishing Touch decorative mouldings can be put are varied, as illustrated in this blog. Television sets, major restorations and brand new buildings can be greatly enhanced with the use of lightweight mouldings. Although decorative mouldings were most popular during the Victorian era and defined the Victorian building, they have been used through many eras and for numerous styles of building. 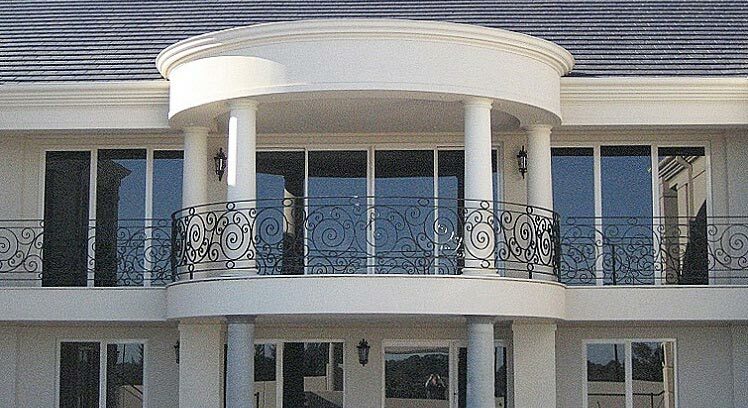 These days they are used to create a style from yesteryear or add interest to a modern building. With the latest development in decorative moulding manufacture, the once heavy mouldings now come in a lightweight design that is easy to transport, fix and finish. The Finishing Touch distribute this innovative moulding design, developed and manufactured by Advanced Mouldings. Mouldings were originally made from stone then stucco followed by terracotta, with plaster used for intricately designed interior ceilings. Now the Finishing Touch offer mouldings made from computer cut high grade EPS polystyrene, triple coated with a multi-part compound and reinforced with a triple coating of sand. The range of different moulding shapes can be used to create many different styles, such as a French Provincial style home, as illustrated in the award winning Eyrie with its French neo classical façade. 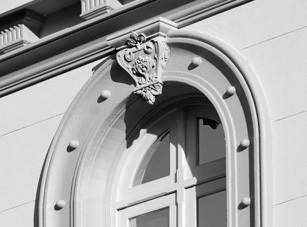 The Finishing Touch moulds are an integral design element of this classic façade. Mouldings can also create a classic Georgian style façade, as illustrated in this house. Builders and House Designers can choose the appropriate moulding shape, placing them in the right position to create the desired effect. Art Deco is a popular, elegant and more modern style which can be ably re-created with the clever use of mouldings, as shown in this home. Other styles that can be achieved through the use of mouldings are Edwardian, Mediterranean and Tuscan. The Finishing Touch have a range of mouldings available, but they can also create custom made mouldings to customer specifications.